Hunter Kirkland is a Senior at William Blount High School. He has a 4.0 GPA and takes dual enrollment classes at Pellissippi State Community College. He does this while working 2 part time jobs and being active in his youth group at East Maryville Baptist Church and a member of Blount County Young Life group. He plans to attend college next year and work toward earning a degree in the Medical field. 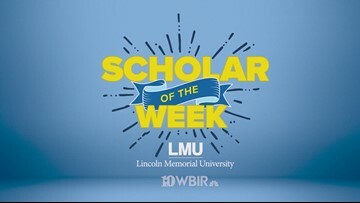 LMU and WBIR want to congratulate him on all that he contributes to this community!